Stretching across the southern coast of Portugal, the Algarve is a region famous for its golden beaches and breathtaking scenery. The region’s administrative capital is the city of Faro, which is home to an international airport and a university. 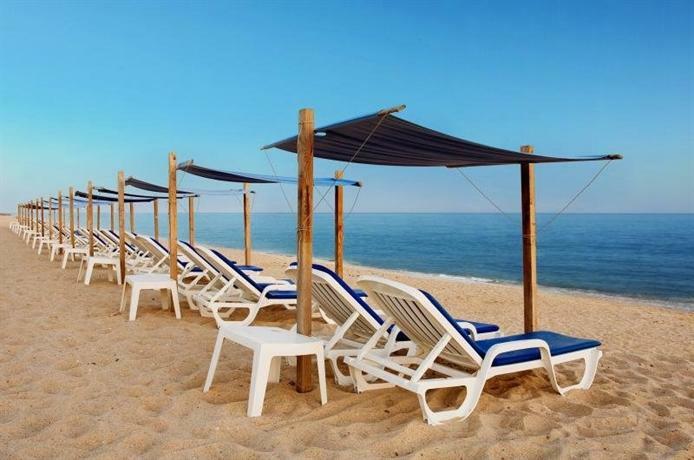 The Algarve is one of Europe’s most popular tourist destinations, and has a large range of hotels and resorts to cater for the 7 million tourists who visit annually. It can be hard knowing which of these resorts is best suited to your needs, so we’ve compiled a list of the top hotels in the area to let you compare and contrast each one. This five-star resort is set in a beautiful rural location. Sandwiched between a gorgeous sand beach and the surrounding hills, the Vilalara Thalassa Resort is ideal for those who like to combine lazy days in the sun with a range of outdoor activities. The resort is set in 11 hectares of gardens, which are home to an abundance of exotic plants and lemon trees. 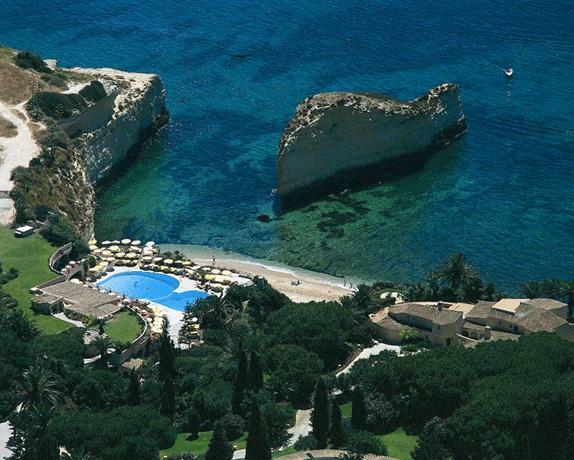 If the sea doesn’t particularly appeal to you, you might prefer to enjoy one of the six outdoor swimming pools. And, when you’ve spent enough hours in the famous Algarve sunshine, you can enjoy some hard-earned rest and relaxation in the Longevity Medical Spa or the world-renowned Thalassotherapy Centre. This is a luxury hotel where no corner is cut and no expense is spared. The Vila Joya is a resort that is designed to be the perfect getaway location. There are only eight suites and four rooms, but each comes with unrivalled views of the Atlantic. Perhaps the most attractive feature of the Vila Joya is the food. Breakfast – which leaves the guest spoiled for choice – is served on a terrace overlooking the sea. It’s a wonderful way to start the day. The hotel also features a 2-star Michelin restaurant, which provides guests with high-end cuisine at astonishingly reasonable prices. Guests can also take advantage of the Vila Joya spa, which offers a range of treatments and sessions. Further afield, there are an array of stunning golf courses within a 40-minute drive of the resort. The Vila Joya is elegant and sophisticated, but retains a homely and intimate atmosphere that will make you feel right at home. An extremely family-friendly resort, The Tivoli Marina Vilamoura straddles the seafront, providing stunning views into the horizon. This is a hotel that caters for everyone; from families looking for the holiday of a lifetime, to couples in desperate pursuit of a relaxing break. The resort boasts a very impressive range of sports and leisure facilities – you can enjoy the indoor and outdoor pools, take advantage of the relaxing spa or shoot a round of golf. And, when you’re after a bit of down-time, there’s a children’s club that will entertain your little ones. The surrounding area of Vilamoura offers a variety of experiences, from tranquil walks to shooting clubs and riding schools. The resort itself operates a Trike Tour around Vilamoura, for those who are feeling adventurous. Staff are incredibly friendly, and will always go out of their way to accommodate your needs. 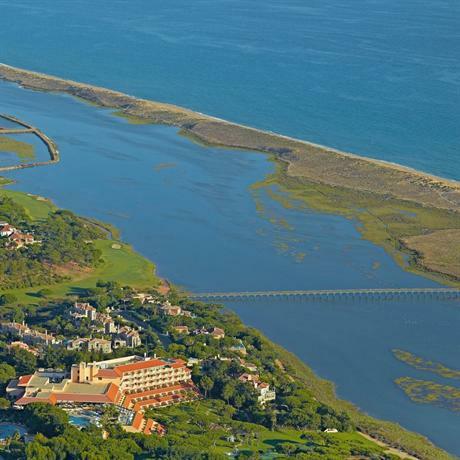 Just a stone’s throw from the sea, this resort is situated on the Formosa Estuary in the Resort of Quinta do Lago and has the accolade of being a member of the “Leading Hotels of the World”. The hotel offers a number of golf packages for its guests, allowing you the chance to tackle some of Europe’s most challenging and picturesque courses. The resort is just a 30-minute drive from Faro Airport, which services the majority of European capitals and makes it ideal for those seeking a stress-free getaway. The Monte Santo Resort marries spacious, well-equipped rooms with a plethora of facilities and activities to provide its guests with a unique, fun-filled experience. The staff are extremely friendly and helpful. Small details such as English television and a gym add to the overall appeal of the resort. 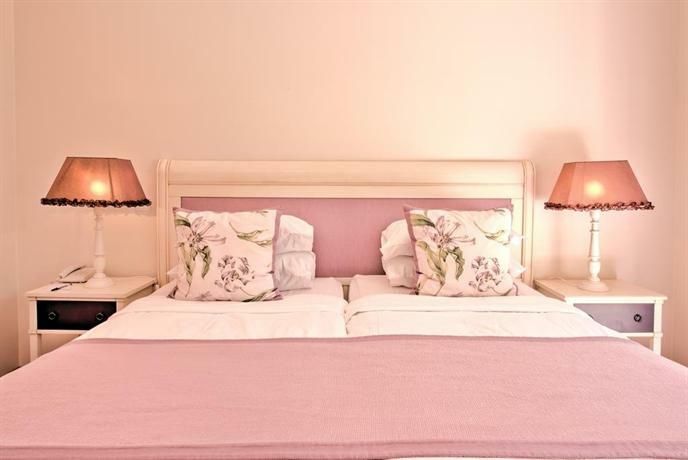 The hotel has a variety of accommodation to suit a wide range of needs, including 64 one, two and three bedroom suites and 50 two and three bedroom villas. The Monte Santo is a ten-minute walk from the town centre, where a number of small shops and conveniences are located. The Monte Santo has been voted the most romantic resort in Europe by the World Travel Awards for two years running. Agua Hotels Vale da Lapa is a newly-constructed hotel offering guests the opportunity to stay in spacious, well-furnished apartments at competitive rates. Built in 2010, this is a modern site which places an emphasis on providing its guests with value for their money. 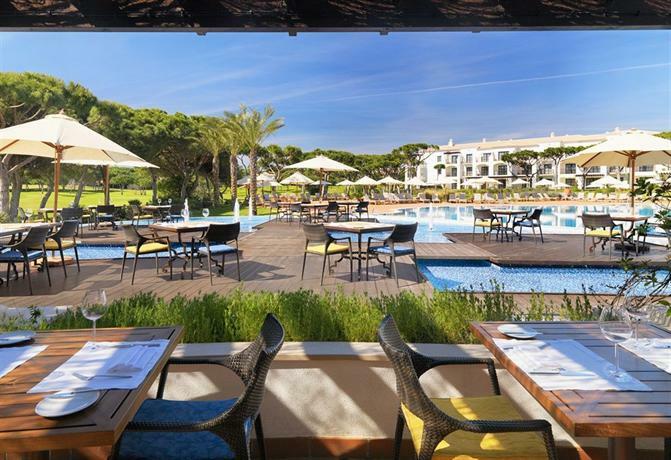 If you’re after a luxurious 5-star experience then you may wish to look elsewhere, but this resort offers a practical, fun base from which you can explore the beautiful scenery that The Algarve has to offer. The hotel is in the middle of a residential area, guaranteeing guests plenty of peace and quiet. However, Carvoeiro town centre is a 25-minute walk away and is home to a good nuber of shops, bars and restaurants. The beach is a similar distance on foot, and is generally less populated than a number of other beaches in the area. Located just outside the beautiful seaside town of Faro, The Conrad Algarve places great emphasis on customer satisfaction. The rooms are designed to be spacious and airy, offering excellent views of the surrounding countryside, and the staff are highly trained and provide a superb level of service. Enjoy the heated indoor or enormous outdoor pools, or kick back on the beautiful terrace and absorb the views. Then, in the evenings, take advantage of one of the numerous restaurants that The Conrad Algarve has to offer. The Conrad is a very short drive away from a number of gorgeous beaches, as well as several luxury golf courses including the highly-rated Four Seasons Country Club. 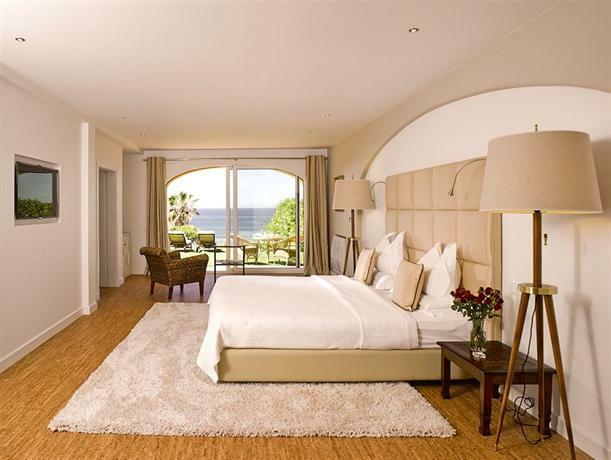 Situated on a cliff top overlooking the stunning golden beaches of Praia da Falésia, Pine Cliffs Residence combines high-end facilities with gorgeous views to provide guests with a luxury holiday experience that will live long in the memory. Guests can enjoy Pine Cliffs’ beautifully manicured gardens, or take a short stroll down to the beach. 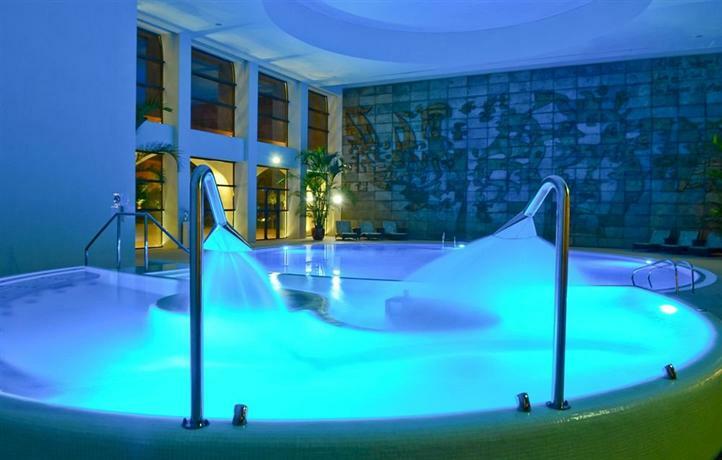 The resort boasts six swimming pools, including indoor and outdoor, as well as tennis courts and a spa. The on-site restaurants have established an excellent reputation, providing guests with a selection of local and international cuisine. The rooms themselves are light, airy and spacious, and offer expansive views of either the surrounding countryside or the shimmering Atlantic. Vale d’Oliveiras Quinta Resort & Spa is an authentic Atlantic experience set in the beautiful surroundings of the Monchique hills. The resort provides guests with a range of suites and townhouses which offer panoramic views whilst being pleasantly secluded. The on-site spa and health club is equipped with state-of-the-art equipment, including an indoor heated pool, jacuzzi and sauna. The resort also boasts tennis courts, a games hall, an astro turf, and – for those who enjoy venturing out and exploring the area – a bike rental service. In addition, each nearby town can be accessed by a shuttle service, affording guests the chance to sample the local culture and cuisine. Part of the Hilton group of hotels, the Hilton Vilamoura is designed to make your stay as straightforward and comfortable as possible. 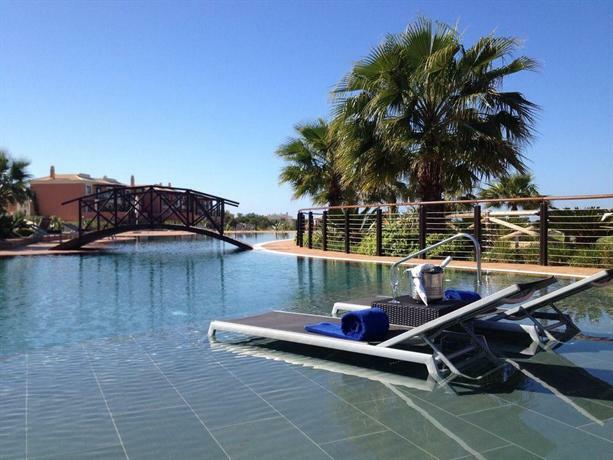 Located 25 minutes from Faro Airport, The Hilton Vilamoura is perfectly suited to those looking for an easy getaway. The facilities, which are spearheaded by the gorgeous central swimming pool, include a gym, a spa, a business centre, numerous other swimming pools, a host of restaurants with eclectic menus, and a putting green. There are a number of local attractions, including the beautiful sands of Falesia Beach, an enormous array of immaculately-kept golf courses, Ria Formosa Natural Park and the ancient Roman ruins of Cerro da Vila. 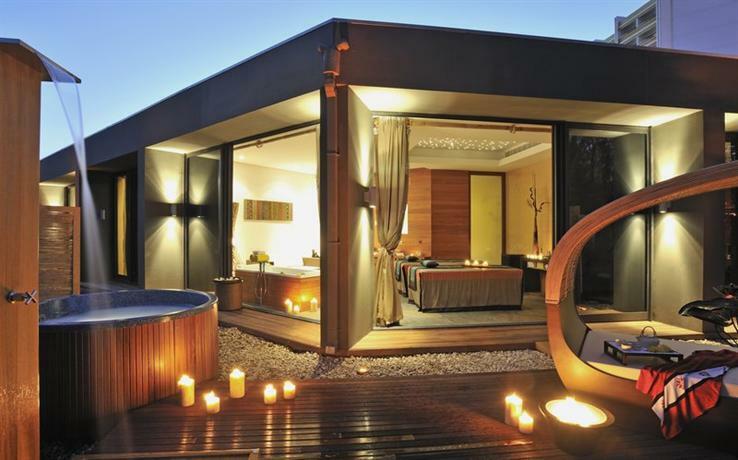 This is the perfect resort in which to recharge and recuperate. 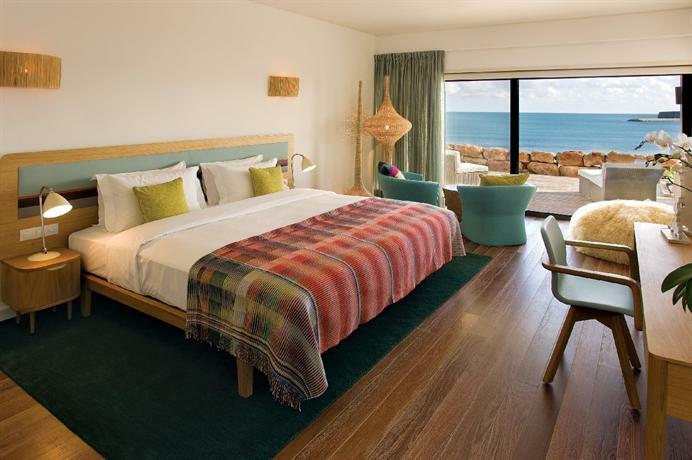 Located on the South-westernmost tip of The Algarve, Martinhal Sagres Resort is a luxury resort with a difference. “Designer houses, not just hotel rooms”, reads a tagline on the resort’s website. 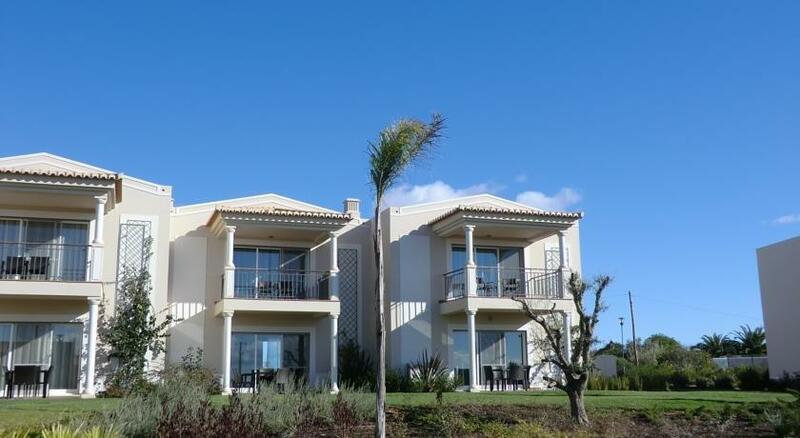 Martinhal Sagres prides itself on being family friendly, providing accommodation that is both flexible and spacious. A four-bed villa comes with an outdoor kitchen, a BBQ, a swimming pool and numerous other creature comforts. Each is stylishly furnished, and cleaned to a very high standard. The resort offers activities and facilities that will keep children entertained for days - playgrounds, bouncy castles, trampolines, sports academies and kids’ clubs. Martinhal Sagres sits atop the Praia do Martinhal beach, allowing guests to enjoy extensive sea views. Quinta Jacintina Hotel combines elegance with activity to offer guests an experience that promises to be both relaxing and entertaining. The hotel boasts an enticing range of beauty and therapy treatments that will allow you to make the most of your peaceful surroundings, and offer facilities such as treatment rooms, a gym, a jacuzzi and a nail bar to ensure you will be thoroughly spoiled during your stay. The outdoor pool is secluded and intimate, providing guests with the perfect spot to wind down. The hotel is small, but room rates are extremely competitive and start from as little as €110 per night in the off-season. 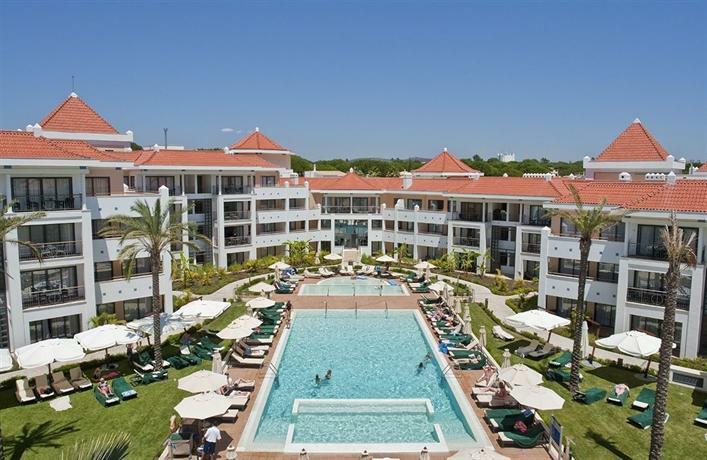 The Ria Park Hotel & Spa is situated in the heart of The Algarve, making it the perfect resort for holiday-makers who enjoy exploring their surroundings. A stone’s throw from a long, golden stretch of beach, The Ria Park is set in beautiful gardens and is host to a range of excellent facilities. The hotel contains a total of 175 spacious rooms and suites, the majority of which feature balconies that provide stunning views for guests. The resort also offers guests a choice of 3 restaurants and bars, ensuring all tastes are catered for, and 3 swimming pools. 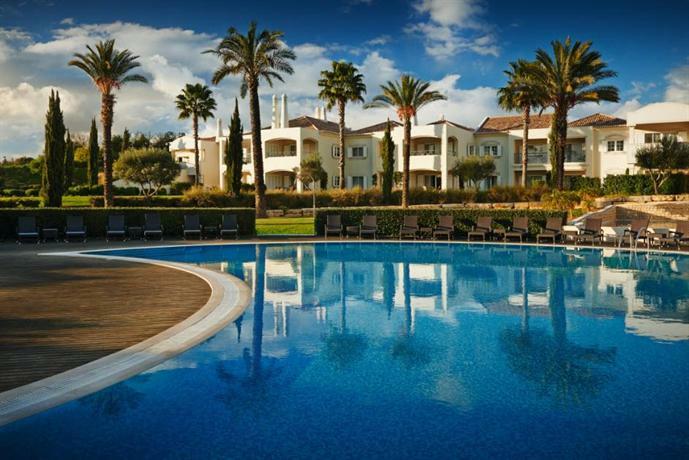 Excellent golfing facilities for players of all abilities can be found in the vicinity, and Faro Airport is just a 20-minute drive from the resort. 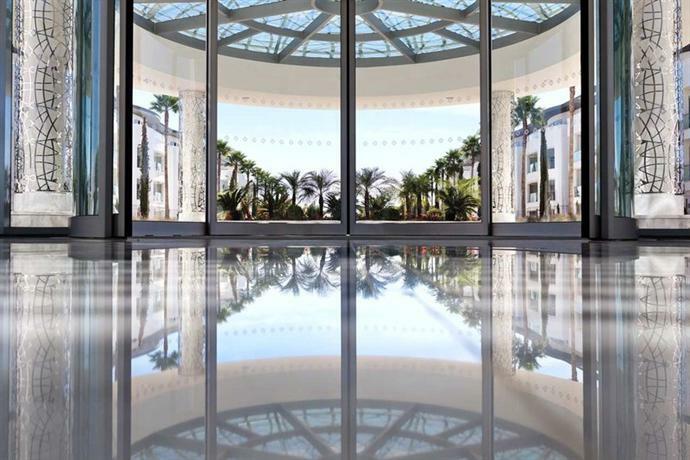 Sitting on the sea front in the heart of Quarteira, there are few hotels in The Algarve that can equal The Crowne Plaza Vilamoura for location or view. 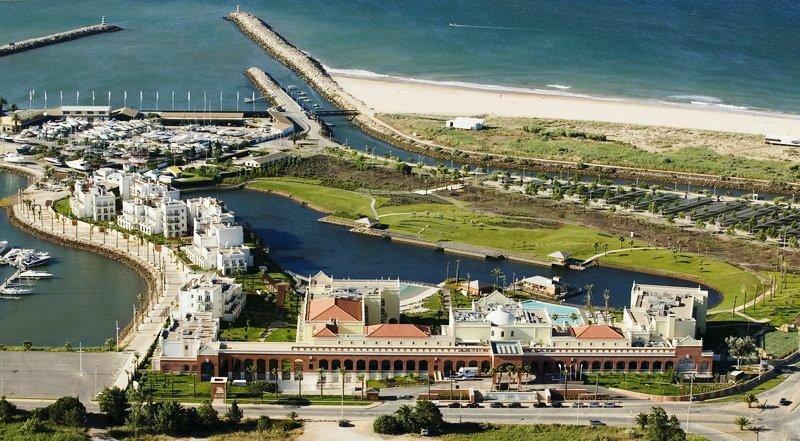 The hotel brushes the sands of Vilamoura Beach, providing guests with an irresistibly convenient path to the sea. If even the 50 metre walk to the sea is too far for you to walk in your search for a swim, The Crowne Plaza has both an indoor and outdoor pool. The outdoor pool is heated, and is one of the largest in The Algarve. The hotel offers extensive dining options for guests, including two restaurants and two bars. However, owing to its location, this is also the perfect hotel for those who enjoy sampling the local tastes, sights and delights. There is plenty to see and do in the town of Quarteira – the street markets in particular are renowned for their quirkiness. The streets around The Crowne Plaza are dotted with a healthy mix of restaurants selling wholesome Portuguese food at very competitive prices. You’ll soon realise that the local fishing industry is in rude health. If you’re looking to spend a peaceful week in an idyllic location then this resort might not be for you. However, if you want to immerse yourself in a culture and have access to a range of amenities, look no further.